Flint was already a troubled city in 2014 when the state of Michigan–in the name of austerity–shifted the source of its water supply from Lake Huron to the Flint River. Soon after, citizens began complaining about the water that flowed from their taps–but officials rebuffed them, insisting that the water was fine. Dr. Mona Hanna-Attisha, a pediatrician at the city’s public hospital, took state officials at their word and encouraged the parents and children in her care to continue drinking the water–after all, it was American tap water, blessed with the state’s seal of approval. But a conversation at a cookout with an old friend, leaked documents from a rogue environmental inspector, and the activism of a concerned mother raised red flags about lead–a neurotoxin whose irreversible effects fall most heavily on children. 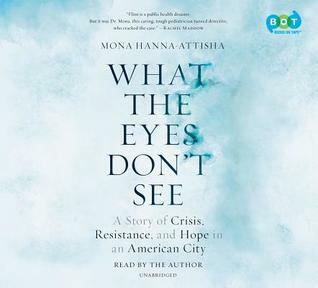 Even as circumstantial evidence mounted and protests grew, Dr. Mona knew that the only thing that could stop the lead poisoning was undeniable proof–and that to get it, she’d have to enter the fight of her life.